Last week, I argued that the real competition for variable speed, constant pressure water systems isn’t similar products from competitors, but conventional systems. I also mentioned that some contractors are having remarkable success selling constant pressure systems against conventional systems. In many cases, the key to this success has been finding niches for variable speed products. Interestingly, some of these niches have nothing to do with constant pressure. A great example is using a variable speed controller to extend system life. Here’s the scenario: the homeowner has an older system, say ten to fifteen years old. There are a lot of those out there. The home has an irrigation system, and the water system gets heavy usage, cycling many times each day. Today, everything is still working fine, but given the age of what’s downhole, you’re going to have to pull and replace the pump sometime in the next few years. It could be tomorrow or in another ten years. Either way, in the scheme of things, this is one of the more expensive scenarios for the homeowner. Here’s where variable speed comes in. Like most mechanical and electrical things, pumps and motors want to start and just run. They don’t like starting and stopping, and we properly size systems to minimize this. However, anytime we can reduce the cycling of a system, we can extend the life of that system. Franklin Electric, along with a few other manufacturers, now offers controllers that can be retrofitted into existing systems. 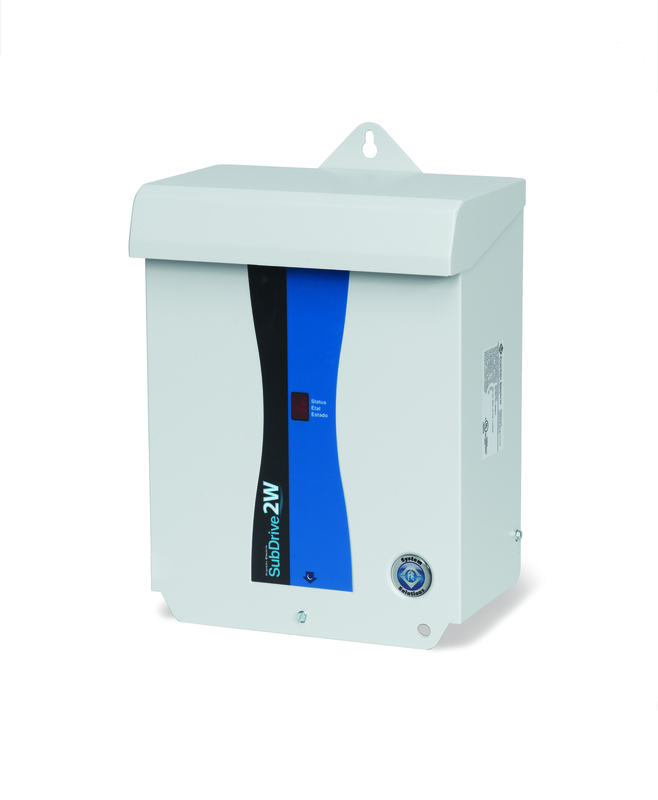 So, without pulling the pump and in just a few minutes, this system can be retrofitted with a variable speed controller that will always match output to water demand. As a result, during the irrigation cycle, the pump will do exactly that … just come on and operate continuously at the right speed, thereby eliminating the cycling. Bottom line is that we’ve probably extended the life of that pump. Now, it’s important to explain to the homeowner that given the age of the pump, it’s impossible to say how much its life will be extended. A fifteen-year-old pump could still fail tomorrow. However, we’ve likely achieved something very positive in terms of cost-versus-benefit. In the meantime, the homeowner has all the benefits of constant pressure as a bonus. And, when that pump does need to be replaced down the road, that variable speed controller you put in today will still be there–along with the homeowner’s new preference for the constant pressure it provides. Everyone wins. This entry was posted in Business Tip, Technical Tip and tagged eliminate cycling, extend system life, retrofit by markreeder. Bookmark the permalink.